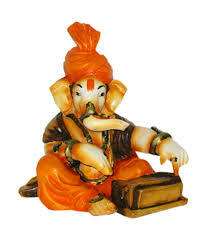 Ganesha playing the harmonium! Jai Ganesha, remover of obstacles and giver of prosperity.. So sorry for the inconvenience but I have to cancel class for tomorrow morning! I will, however, be at the North Shore Public Library on Saturday morning 10-11am, call ahead to see if any spots opened up if you would like to try to attend. If you have time, please reply and let me know you received this, otherwise I will be contacting those of you who have already signed up for tomorrow. I did receive your class cancellation notice, and am replying even though I have not registered for Saturday morning. I have registered for a class in April and am so looking forward to coming.